Rabbits make intelligent, energetic, and entertaining pets. Their friendly character,soft fur, and warm eyes have captured the hearts of rabbit owners for years. In general, rabbits are very affectionate and enjoy human interaction as well as the company of other rabbits. In fact, if paired with the right mate, a rabbit can form a close bond for life. Rabbits are most active at dawn and twilight and seek a quiet corner for a nap during the midday. This schedule makes them particularly well suited to working families. 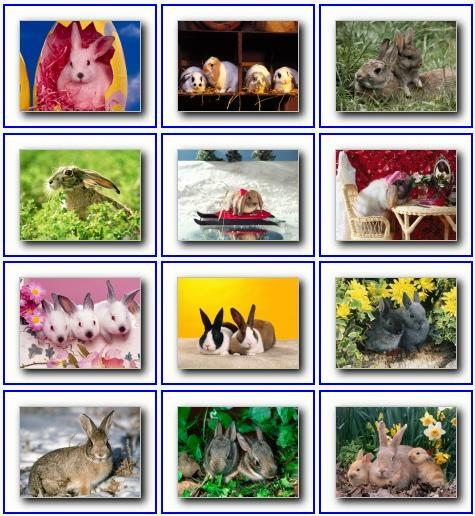 There are approximately 50 different breeds of rabbits with wide variations in size, ear length, and colour. From the 15-pound Flemish giant, to the petite 3-pound Netherlands dwarf, to the French lop with 10-inch long ears; there is a rabbit to suit almost every personality. Your rabbit needs a cage with plenty of room to play, rest, eat, and explore. The bigger the cage the better, and the exact size depends on the size of your rabbit. 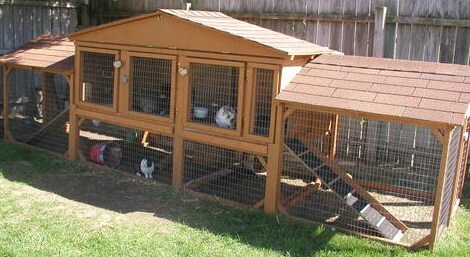 Rabbits love the two-story cages with ramps connecting the different levels. Solid flooring is best, because a rabbit's feet can become irritated and inflamed if in constant contact with wire floors. With time and patience, your rabbit can be litter box trained. Place the litter box in a corner of the cage the rabbit has already soiled, and provide a safe litter such as hay, composite recycled newspaper pellets, If you include bedding in the cage, appropriate choices include shreded paper (avoid shiny ads that can contain toxic substances),wood shavings, or composite recycled newspaper pellets,Hay can also be used as bedding. Fresh clean water must be available at all times .Fiber is vital to the normal function of the digestive system in rabbits. Fresh grass, hay and vegetables should make most of the diet for rabbits.Hay should be available at all times.Vegetable should make up a large portion of the diet. A variety must be fed daily to ensure a balanced diet. If a rabbit is used to eating mainly pellets, the change must be made gradually to allow the rabbit's digestive system time to adjust. Vegetables should be introduced to bunnies in small quantities and one at a time. Adding more vegetables watch for diarrhea and discontinue the most recently added vegetable if this occurs. Over time, the amount of vegetables should be increased, and the amount of pellets decreased accordingly.Treats should be reduced to a minimum and best given in fresh fruits form.